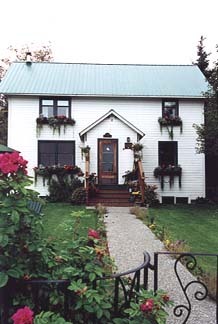 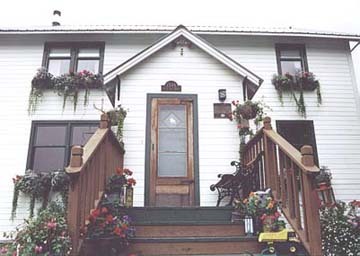 Views of the Oscar Gill House from the street and the front yard. 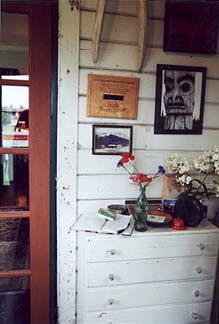 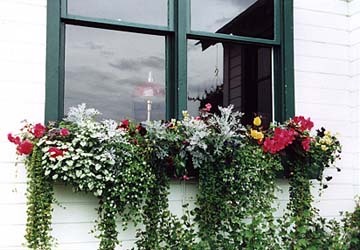 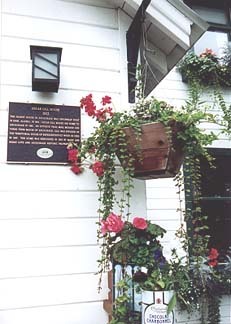 Flowers on the front porch, the Oscar Gill House's "arctic entry," and view of the front yard from room 1. 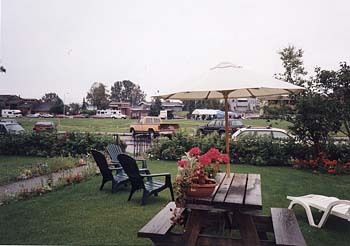 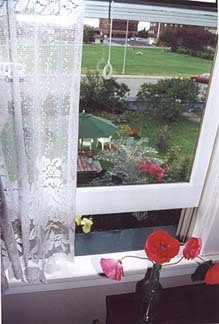 Flowers in bloom and view of the front yard and Delaney Park Strip.